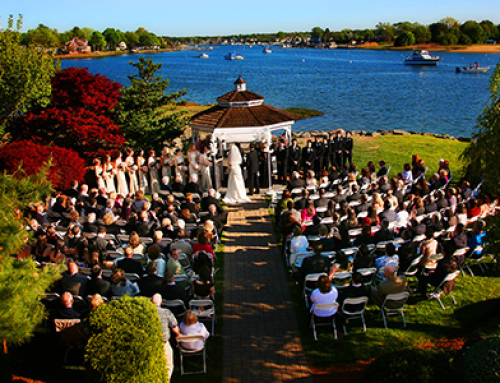 If you’ve been dreaming of a fairy tale wedding, castle wedding venues in Massachusetts are the perfect setting! Walking down the aisle in an actual castle can make you feel like a princess marrying your prince charming. 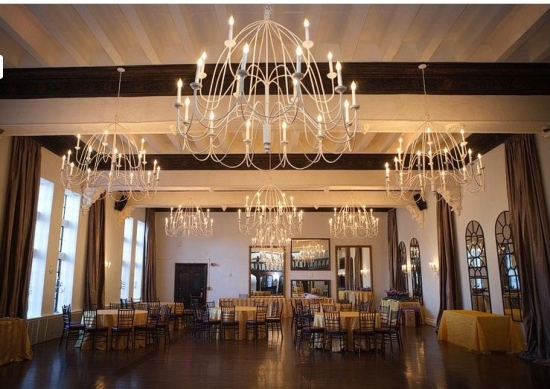 A castle’s romantic ambiance and unique history can make it a truly memorable wedding day for you and your guests. It’s all about the details at this circa-1924 Tudor-style manor — and painstaking renovations have rendered the palatial Alden Castle (formerly known as the Veronique) more exquisite than ever before. 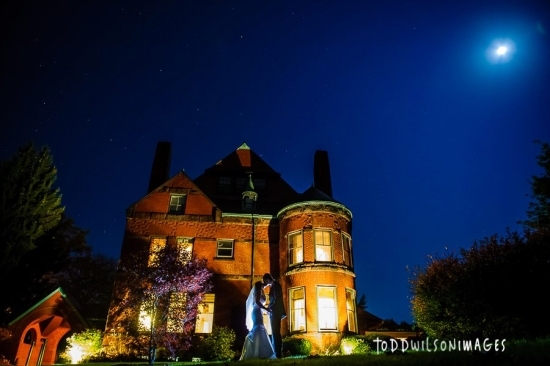 Couples choose Alden castle for its romance and vintage feel. 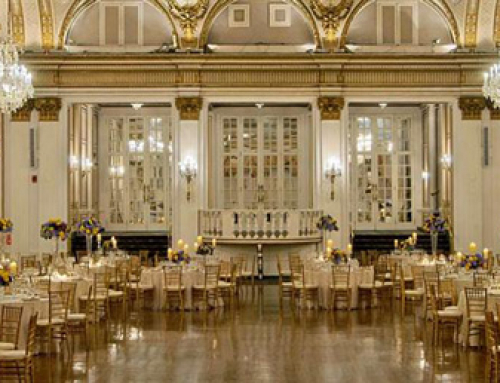 Each of the two event spaces (the Vintage Ballroom, with a 250-person dinner capacity and 400 guests for reception, separate lounge with balcony overlooking the ballroom, floor-to-ceiling windows, and ecru Becara chandeliers; and the Modern Room, with a 150-person dinner capacity and 300 guests for reception, balcony overlooking the main room, Murano glass chandeliers, and original gold leafed fleur-de-lis ceiling) is equipped with its own entrance and kitchen, ensuring that private events stay that way. Redecorated foyers, refreshed wall treatments, and new furniture (like a set of oversize metallic snakeskin sofas with turned wooden legs) add a dose of modernity to this otherwise history-drenched chateau. Winnikenni Castle was built in 1875 by Dr. James R. Nichols, a brilliant chemist and agriculturist. He built this as his summer home and called the Castle and the surrounding farm Winnekenni, an Algonquin Indian word for “Very Beautiful!” Today, this favorite Haverhill landmark is a valuable part of the community, still serving as a recreational park and offering, concerts, plays, workshops, craft fairs, Halloween parties, fundraisers and so much more. Winnikenni Castle is available for Private Rentals 9am-11pm mid April through mid September and mid November through mid December. 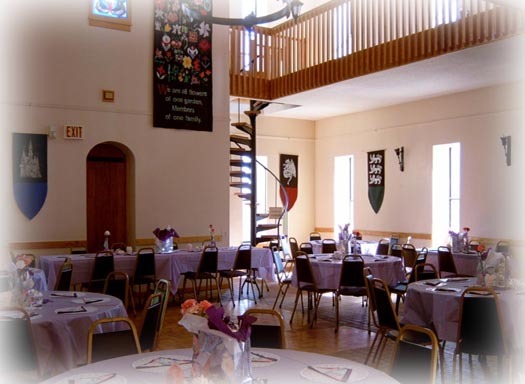 The great hall located on the lower floor has capacity for 80 banquet seated guests. The over-looking balcony on the upper floor can accommodate 30-50 additional guests. The castle has central heat but no air conditioning. 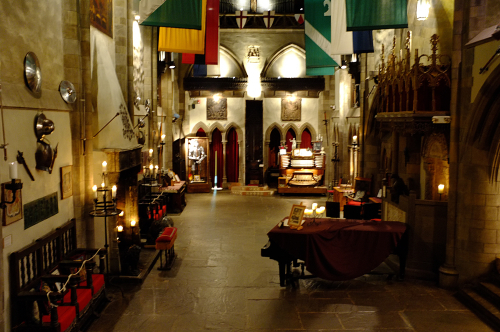 The Castle has Tables and Chairs for 140 Guests and a Baby Grand Piano in the great hall. You may hire a professional musician to play the piano during your event, otherwise it remains covered and locked. 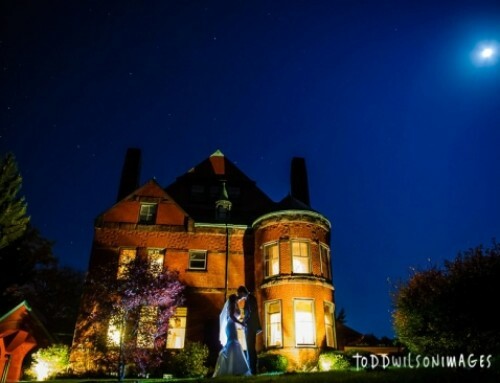 Call (978) 521-1230 to arrange a viewing of Winnikenni Castle for your wedding. 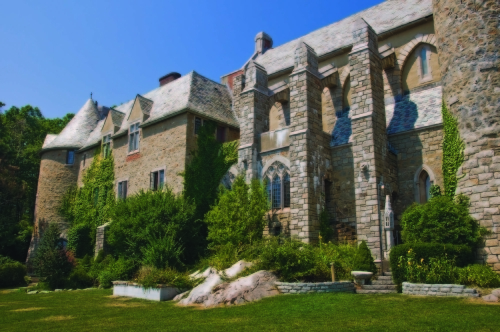 Hammond castle is nestled on Gloucester’s rocky Atlantic coast. 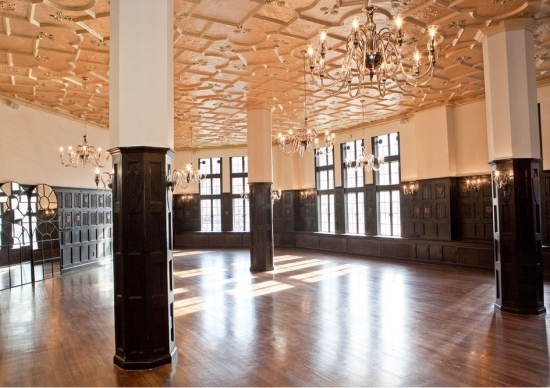 This unique castle wedding venue is available for private rentals. 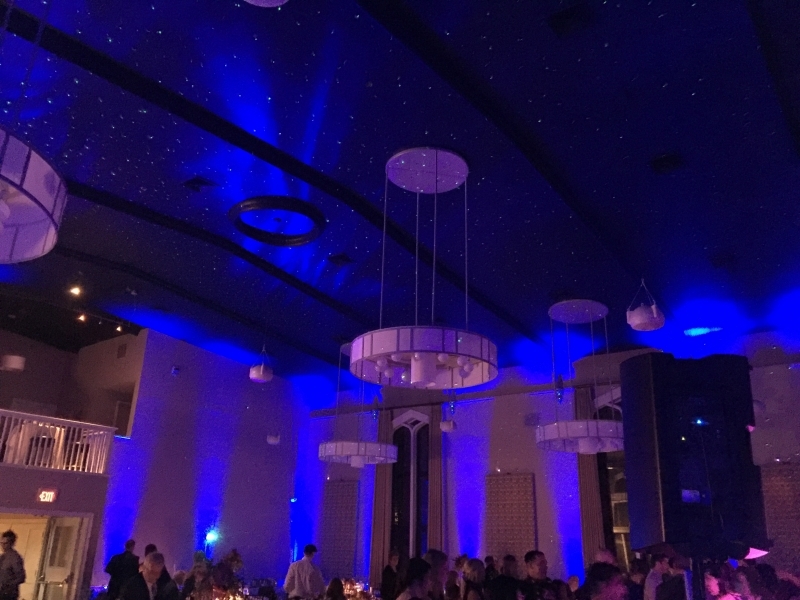 Events start after 4pm, and are held in the great hall, Renaissance dining room, the courtyard, and the ocean-side lawn with amazing views. Contact the Functions Director at 978-283-2081 for more information. 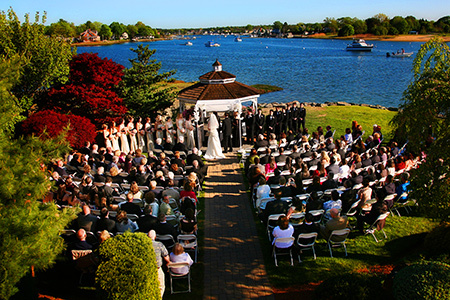 If you’re still not sure on the type of wedding venue you’d like, take a look at our recent post listing the 5 Top Historic Wedding Venues North of Boston, and also the Top 5 Boston Area Wedding Reception Venues. 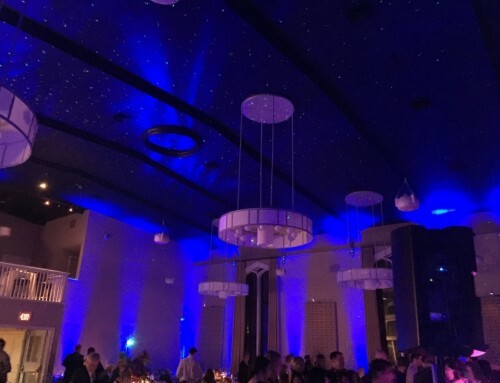 Contact us today about entertainment & uplighting for your special event!